You Might be Lucky Enough to Meet 'Crush" ! Spend More Time Diving & Less Time on Boats ! 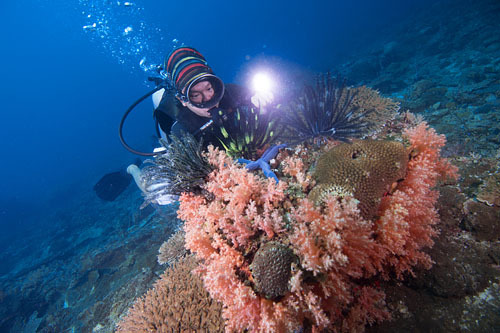 We offer scuba diving Kota Kinabalu trips to the best dive sites in TARP and west coast Sabah. 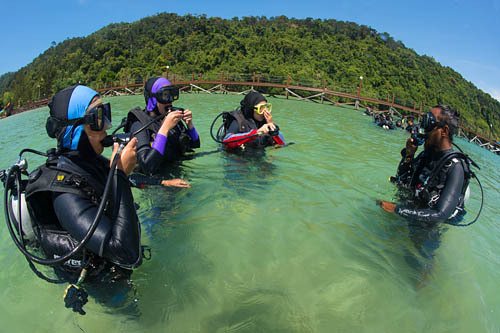 Our PADI 5 STAR CDC Centre is based on Gaya Island within the Tunku Abdul Rahman Park (TARP), Kota Kinabalu, Sabah. Only 5-8 minutes ride from the mainland aboard our spacious, powerful dive boats. Our online promotion offers the best value for money. Please contact us if you require a tailored holiday package. When booking online please tell us in the notes section of the booking which KK City Hotel your are staying at for your pick up. If you don’t yet know leave it blank. If you’d like to book multiple days of diving we are able to offer discounted price. Please select the options below. 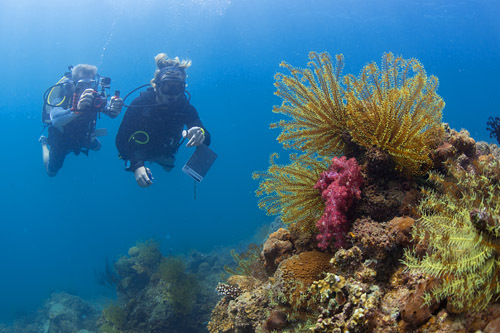 Scuba Diving day trip Gaya Island offers the flexibility to dive for a day or multiple days. 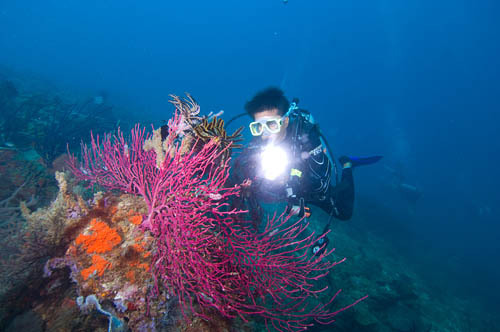 We conduct three boat dives per day and we scuba dive the best dive sites in the Tunku Abdul Rahman Marine Park Kota Kinabalu. You will not see the same dive site twice – unless you want to of course. Providing a very special experience, with a resort like feel. 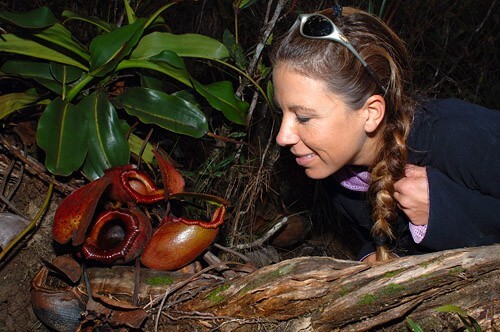 Downbelow’s Beach House is a fun place to spend the day enjoy the tropical surroundings and chat about all the wonderful creatures you will have spotted. If you are not a qualified diver, don’t worry, you won’t miss out! Join us for a TRY DIVE or Discover Scuba Diving Program. 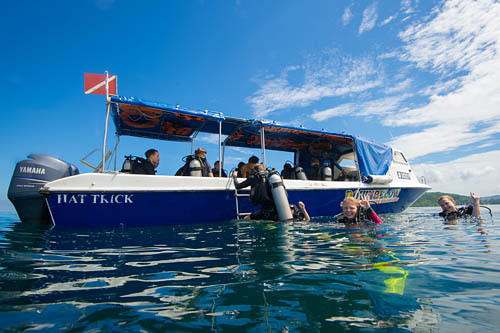 Enjoy Three Guided Boat Dives per Day. We conduct three boat dives per day. When you choose to dive with us, we don’t just guide you. 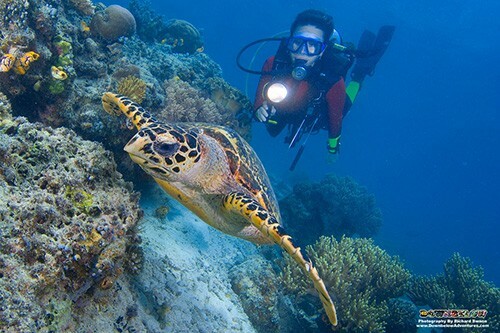 You embark on an adventure and you’ll see some of the most amazing underwater creatures. 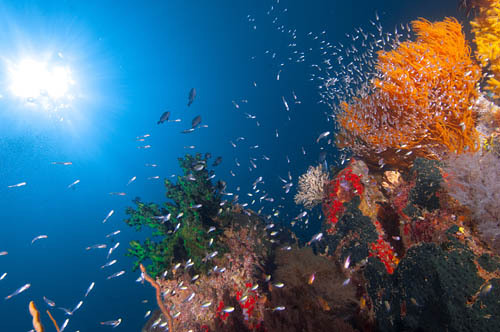 Our company’s foundation is based on the simple fact that we adore marine life. 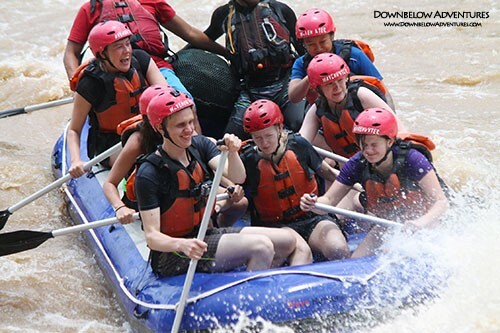 Our professional staff team are highly qualified with many years of experience in their field and pride themselves on an exceptional level of service and safety. 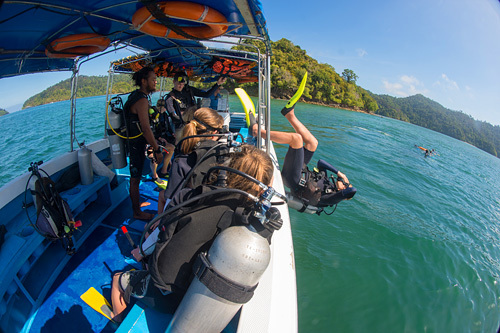 Our diver-to-dive-guide ratios are very low, ensuring that new divers are well looked after and experienced divers can enjoy the dive to the full. Discover more about the DIVE SITES & SCUBA DIVING TARP. For non diving spouses, family members and friends there are also plenty of activities to keep you entertained in paradise. Since all our dive sites are so close to our beach house Dive Centre, everyone enjoys surface intervals together. In the afternoon snorkelers, under the fully guided program, can often join their companion on the dive boat as the afternoon dive is also snorkeler friendly! At all times you are in safe hands. We pride ourselves on small group instruction ensuring our clients get the very best of attention from the instructor. Safety is paramount, we adhere to PADI standards and procedures and HSE Guidelines. Our boats are equipped with marine radio, GPS & First Aid kits. All our PADI Instructors & Divemasters are in member teaching status. 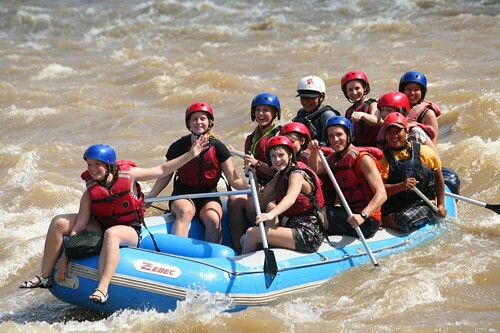 All our guides are trained in Emergency First Response. We run daily picks ups from Kota Kinabalu City to our dive centre. Our all inclusive price means that you pay one price which includes everything you’ll need for a great scuba diving day out. 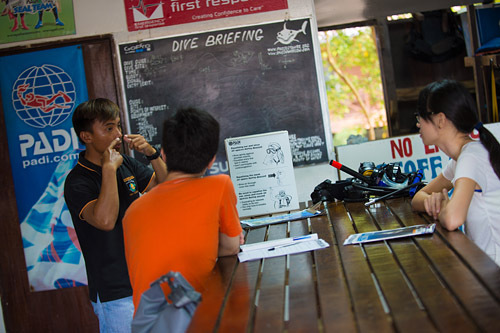 Qualified divers must show proof of certification.